Every since Smartphones hit the market, QR Codes have multiplied exponentially as a vital component of every self-respecting advertisement, product or company and have recently even began to appear on most people’s business cards. QR Codes, easily scannable codes that redirect the scanner to a destination of the creator’s choice, are used in numerously ingenious fashions and are an incredibly useful tool for making your product, company or site, accessible and engaging in a creative manner. One of the main elements that has contributed to the QR Code’s great success is the remarkable versatility that it offers its users. The QR Code can redirect its scanner to a website, a specific location on a map, a video or song, a Facebook profile page, can create a contact in your address book or even call a specific number.When you create a QR Code, you have the freedom to break out of the mundane, banal crowd and advertise your product in an original, approachable manner that is the most suitable for your product, in a way that enhances its advantages. Although QR Codes look like an innocuous cluster of black and white dots, they have the potential to raise your product or company to a higher level of awareness, accessibility and success. Why settle for outmoded black and white when you can have vibrant, colorful Visual QR Codes? Now that we all understand the importance and usefulness of the QR Codes, it’s time to rise to the next level and ensure that the QR Code that you use will be the most attractive, appealing and eye-catching QR Code in the market. 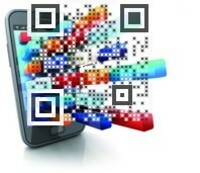 The QR code that is printed on your product, site or commercial is more than a cluster of dots – it’s a statement. The QR Code you choose has the ability to symbolize your company in your customer’s eyes - so utilize that ability into a making your statement attractive, unique and unforgettable? With 3 simple steps, you can separate your QR Code from the majority of banal, identical black and white squares and transform it into a riveting, memorable Visual QR Code that represents your company in a distinctive, special way. Visualead’s cutting-edge technology merges your QR Code into an image of your choice, distinguishing your QR Code from the millions of others out there in a simple, effortless process that takes less than a minute. All you have to do is select an image, either from our extensive gallery or an image of your choice (such as your company’s brand or logo), set your QR Code’s desired destination (webpage, map location, contact in an address book and ect.) 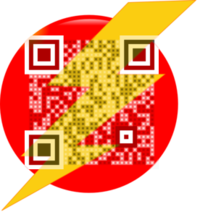 and our Visualead QR Code Generator will merge the QR code into your image in an instant. There’s no need to worry about affecting the scannability of your QR Code – the quality of your Visual QR Code is our top priority. Not only can you create your Visual QR code with any image that you like, you can also choose to create them en masse if you have the need for a large number of Visual QR Codes. And that’s not all – using our technology, you have the ability to change your Visual QR Codes, or only their destination, whenever you like, thus making your Visual QR Code not only vibrant and attractive but also incredibly versatile and dynamic. The potential is boundless and the possibilities are endless – just waiting for your creative touch. Too good to be true? Try it now! 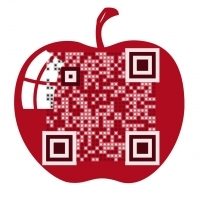 Just press Create your QR Code and in less than a minute you’ll be amazed by the results. And in case you’re wondering how you can track the extra business your Visual QR Code will generate – you can use our site to retrieve analytics assessing your Visual QR code’s success (it’s most popular locations, maximum number of scans and so forth). Don’t stay behind with the crowd - use our technology to stand out! It’s the time to be the creators, to be inspired. 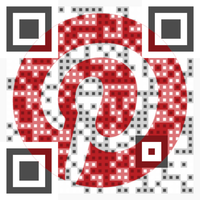 Create your Visual QR Code today!